Food is central to the relaxed, social Greek way of life, and it reflects the warmth, generosity and hospitality of the locals. Bring Greece home with the tang of feta cheese, the sweetness of garlic and the tartness of lemons cooked through meat or slowly roasted potatoes covered in fresh green herbs. 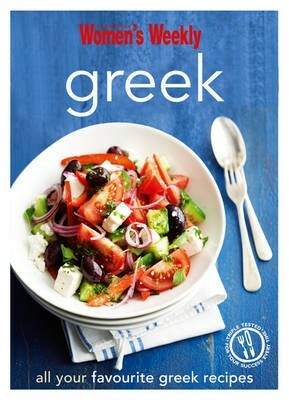 Abundant with mezze dishes, salads, seafood, meats, poultry and vegetables, this collection of traditional and contemporary dishes will have you celebrating life, the Greek way.